Central Coast Hot Water - Over 30 years Experience. With over 30 years experience we have the complete skill set to provide hot water installs, hot water repairs & hot water replacements without compromise – every time! Hot Water Heater Installations - New hot water heater needed? We've got you covered with unbeatable prices! Hot Water Heater Repairs - A hot water heater repair can sometimes go a long way in prolonging the life of your hot water heater! Hot Water Heater Replacements - Time to get your hot water heater replaced? we'll ensure you're hot water service has minimal downtime. Commercial Projects - Need help with a large project? Central Coast Hot Water has the knowledge to complete any hot water project on time & on budget. Quality hot water heaters from leading manufacturers for your peace of mind. Super fast and friendly! Called early in the morning and was here in 20 minutes. Great job! Marcus was awesome, our old water heater finally died, tried calling another company, they wouldn't tell us any pricing or when they could come out.  We then called central coast hot water, spoke with Marcus who made recommendations and the full pricing was on his website, he was here an hour later and replaced the system. Best service. Woke up to no hot water, called Central Coast Hot Water at 8am, problem fixed by 10am. Great, quick service and excellent price. Marcus from Central Coast Hot Water installed my new heater. He was prompt and courteous. The price was very good. I was very pleased with his work. Marcus came on time and was very professional in both advice and installation. He worked efficiently, thoroughly and left no mess behind. It was a pleasure to deal with you, Marcus, and my male dog thinks that you are his new best friend! Marcus is awesome, was able to come and replace hot water system within half an hour after first contact. Problem fixed, prompt service, excellent job, highly recommended. Go local!